Newcomer Family Obituaries - Michael J. 'Mikey' Estep 1979 - 2019 - Newcomer Cremations, Funerals & Receptions. 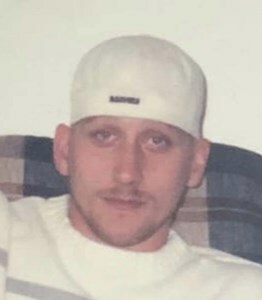 Michael Jason Estep, 40, passed away April 6, 2019. He was preceded in death by parents, Bryan and Shirley Estep; brother, Johnny Estep. Michael is survived by girlfriend, Teair Blanton; daughters, Clorissa and Hannah Estep; grandsons, Cody and Liam O'Connor; siblings, Stephanie (Dan) Wippel, Jeffrey (Linda) Estep, Greg (Natalie) Estep, Sandra (Larry) Parsons, Shannon Leon Estep, and Robert (Angelia) Estep; best friend, Eddie Payne; many nieces and nephews. Visitation Friday, April 12, 2019 from 6-8pm at Newcomer, SW Chapel, 3393 Broadway, Grove City, OH. Add your memories to the guest book of Michael Estep. I'm not even sure where to begin. You were my first bestfriend. The first man to ever love me unconditionally. I'm gonna miss you so much dad. The memories I've made with you is something that I'll hold onto forever. This is the hardest thing I've ever had to go thru, but I know you're gonna be the one to get me thru it. I'm gonna miss your blue eyes, your ridiculous laugh, you calling me a crybaby when I'm being an emotional mess and most of all I'm gonna miss your presence. You took a big piece of my heart when you left. I'll never be the same because of this. Just please watch over me, Hannah, your grandbabies, and especially mom. I can't wait to see you again. I love you Dad. Forever. R.I.P MIKE ,GONE BUT NEVER FORGOTTEN. FLY HIGH BROTHER,SEE YOU WHEN I GET THERE. Love and condolences, to family and friends. Mike I will miss you so much. Me you and teair had great fun drinking playing pool at the house. Great memories. We were party animals and I was always your chickie boo. For always and forever. I will never forget you. I will always remember the fun we had as kids growing up. You was my rock back then. I'm going to miss you mikey. You will always be in my heart. Mike was a great person and has touched alot people. Our condolences go to the Estep family for there loss. You will truly be missed, you were one of kind and the real definition of a friend. We had too many fun memories to put into words. Rest easy my friend. Mike was a very good man. Rest Easy Mike..